I am blessed with an amazing acupuncturist (Sage Norbury of Summit Acupuncture Services) who is also trained in the art of essential oils. I recently booked Sage to lead an adult class for our learning cooperative. She did a fantastic presentation on essential oils for children – she discussed everything from bonding to tonsillitis. I’m excited that Sage has given me permission to share her expertise with you.1 In this post I’m going to go over some of the basics of EOs, as well as the best EOs for common childhood illnesses and concerns. Essential oils (EOs) are extracts of plants. They can come from the roots, leaves, flowers, stems, or a mixture of these. It may take thousands of pounds of plant material to make one pound of oil. For example, Melissa (butterfly bush) takes 6,000 pounds of plant material to make only one pound of oil. Fragrance oils are synthetic. They do not have the same properties or effects. The shelf life of good essential oils is measured in years – as long as they are in brown bottles, are not exposed to direct sun, and undergo no big temperature changes, your essential oils should last quite a long time. Dilute in carrier oil and rub on the skin (you can use a warm rice pack – heat can help the oil soak in). Keep all essential oils out of children’s reach. If an oil is ingested, give the child an oil-soluble liquid such as milk, cream, or half & half. Call your local poison control center (1-800-222-1222). Seek emergency medical attention if necessary. A few drops of pure essential oil shouldn’t be life threatening, but for your protection it is best to take these precautions. When using essential oils on babies and children, it is always best to dilute 1-2 drops of pure essential oil with 1/2 – 1 teaspoon of a carrier oil. If the oils are used in the bath, always use a bath gel base as a dispersing agent for the oils. Do not use synthetic or adulterated oils. Remember, never allow children to ingest any essential oil. All of these essential oils may be dangerous if used directly – always use a diluted solution of an essential oil in a carrier oil. *These oils are photosensitive; always dilute. To prevent a rash or pigmentation of the skin, do not use citrus oils when exposed to direct sunlight. Esoteric Oils contains a list of essential oils that are toxic to both adults and children. Below are lists of essential oils and/or EO blends that are effective in relieving common childhood illnesses and other concerns. (Click each link to jump to that topic.) For each topic, any one of the EOs listed will be effective – you do not need to make your own blend of every EO listed. If you are interested in any of the Young Living blends mentioned here, please contact Sage. Rub one drop gently on baby’s feet and brush a drop or two over mom’s hair and aura (open palms skimming body surface, head to foot). Gentle Baby is also effective to use on mama’s belly when pregnant, during labor and delivery, and for after birth-bonding. Applying to bruise as soon after bruising as possible will minimize or eliminate bruising. To prevent the formation of scarring, use Frankincense, Myrrh, Hyssop, or Helichrysum. Sunburns: Lavender, Melaleuca, Roman Chamomile. Any of these oils can be sprayed or rubbed on sunburn. LavaDerm Cooling Mist also cools and soothes burns. Blend: Combine 2 Tbsp V-6 Mixing Oil (or other carrier oil) with 2 drops Melaleuca (Tea Tree), 1 drop lemon. Massage a little of the blend on neck and chest. Blend: Combine 2 Tbsp almond oil (or other carrier oil) with 1 drop Roman chamomile, 1 drop lavender, and 1 drop germanium. Mix and apply to stomach and back. Burping the baby and keeping the abdomen warm with a warm water bottle will often bring relief. Dilute one drop of any of the above oils with V-6 Mixing oil (or other carrier oil) and massage on stomach clockwise and on feet. Combine 2 Tbsp almond oil with one drop lemon and one drop geranium or with one drop cedarwood and one drop sandalwood. Mix and apply a small amount on head. Diffuse or dilute with V-6 Mixing Oil (or other carrier oil) to massage on chest. Bundle the baby up and take outside to breathe cold air. Diffuse in air or dilute with V-6 Mixing Oil (or other carrier oil) for massage. Blend: Combine one drop Roman chamomile and one drop of lavender with V-6 Mixing Oil (or other carrier oil) or Genesis Hand and Body Lotion and apply. For sluggish digestion, dilute lemon or orange with a carrier oil and massage on feet and stomach. Dilute one drop of Rosewood or Sandalwood with V-6 Mixing Oil or almond oil and apply to skin. Put a dilute drop of oil on a cotton ball and place in the ear; rub a little bit of dilute oil behind the ear. Blend: Combine 2 Tbsp of carrier oil with two drops lavender, one drop Roman chamomile, and one drop melaleuca (tea tree). Put a drop on a cotton ball and put in ear, rub behind the ear and on the ear Vita Flex feet points. WARNING: NEVER put any essential oil directly in the ear. Lavender: Dilute in carrier oil and massage baby (back of neck, feet, and behind ears). Dilute with carrier oil and apply on the liver area and on the liver Vita Flex feet points. Dilute with carrier oil and apply to area of concern. Dilute in V-6 Mixing Oil or olive oil and apply to sore gums. Teeth Grinding: Rub lavender on feet. Rub Peace and Calming on feet or diffuse in the room. Dilute with carrier oil and apply to roof of mouth. 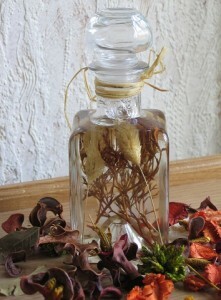 Dilute with carrier oil and apply on the outside of throat. Which EOs do you use at home? This post has been edited from two posts previously published at Code Name: Mama – Essential Oil Remedies for Children: The Basics and Essential Oil Remedies for Children: What to Use. Please be aware that nothing in this post constitutes expert or medical advice. You need to trust your own instincts, research, and experiences when using any kind of treatment for your family. Consult a physician or other expert if you have questions about the use of any essential oil. Is there a book you’d recommend on this? Here is an excellent book that I use often! Gentle Babies: Essential Oils and Natural Remedies for Pregnancy, Childbirth, Infants and Young Children by Debra Raybern, N.D., M.H., C.N.C., I.C.A. Another suggested book if you are interested in using Essential Oils. Is there anyway you can include information on essential oils for Autism, ADHD, Sensory Disorders, Anxiety, Anger??? Thanks for reading, Ashley. This info comes from a presentation by my acupuncturist, who is not a regular writer for us. I’m sure Google can help you with EO recommendations for anxiety and anger, I don’t know about the other three. Good luck in your search! I was wondering if it is safe to use a blend like “Attention Assist” by native american nutritionals (3-4) times daily on my 4 year old? I just read a book that says “Always alternate oils used and do not treat the child with essential oils on a consistent basis even if you very the oils” It goes on to say that the oils can build up and hurt their organs (ie Liver). Now I am concerned that I may be over using with her – I do not want to harm her in any way. Please help. attention assist: Ingredients: Vetiver (Vetivera zizanioides), Frankincense (Somalia) (Boswellia Carterii), Lavender (Lavandula angustifolia), and Cedarwood (Cedrus deodora), in a base of Wild Fractionated Coconut Oil. Is Rose Geranium ok to use on new born babies? Hi, I was just wondering why Rosemary is recommended. I have read that Rosemary and Eucalyptus shouldn’t be used on children under 10 years and peppermint on children under 6 years. Hi, without suggesting to me which one to use, i just want to ask you if your toddler had hives, and you only had Lemon, Sacred Frankinsence and Oregano, which one would you use with a carrier?